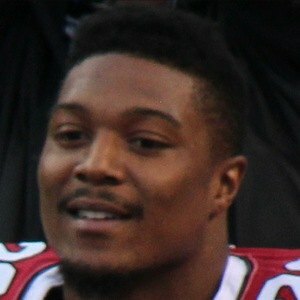 Strong safety who has gained massive fame for his career in the NFL, including for the Arizona Cardinals between 2013-2016. He signed with the Baltimore Ravens in 2017 as an unrestricted free agent, and became their starting strong safety. He was named to the high school USA Today All-America team in 2009. He played three years of college football for the Oklahoma Sooners, where he was the Big 12 co-Defensive Freshman of the Year in 2010. He was rated as a top ten safety talent prior to the 2013 NFL Draft. He started the 2015 NFC Championship Game at safety for the Arizona Cardinals in their loss. His parents' names are Tony and Adria. He and Eric Weddle have played at safety for the Baltimore Ravens as teammates.